The Ultrasound in Medical Education Office is located on the third floor of the Medical Education Building (#836) in Suite 3129. Parking Lot 83 is located off of Bison Ave & Health Sciences Rd‎. Irvine, CA 92617 (searchable on Google maps). After parking in lot 83, walk in between Hewitt Research Hall and Gross Hall. 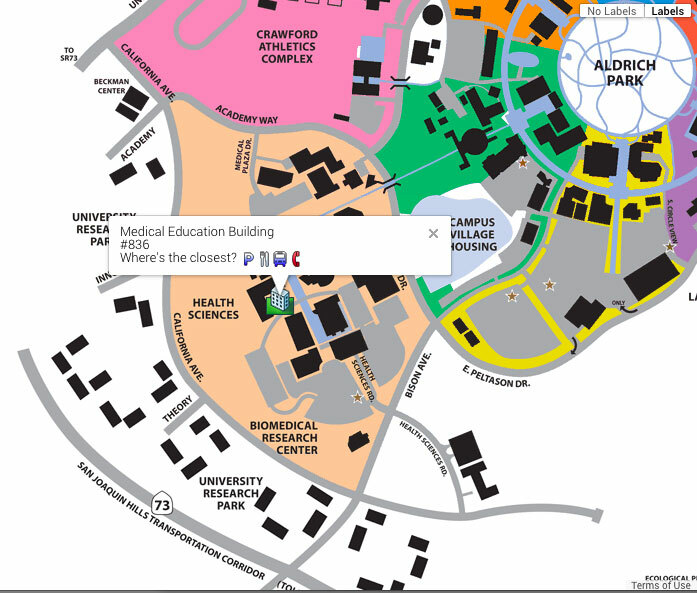 The Medical Education building will be the third building on your left. Left on Health Sciences Rd. Parking lot 83 is the closest visitor parking to the Medical Education Building. A daily permit is $8, but may change without notice. A dispenser machine is located at the entrance of the parking lot and accepts Visa and MasterCard only. For alternate forms of payment please visit one of the kiosks located around campus.